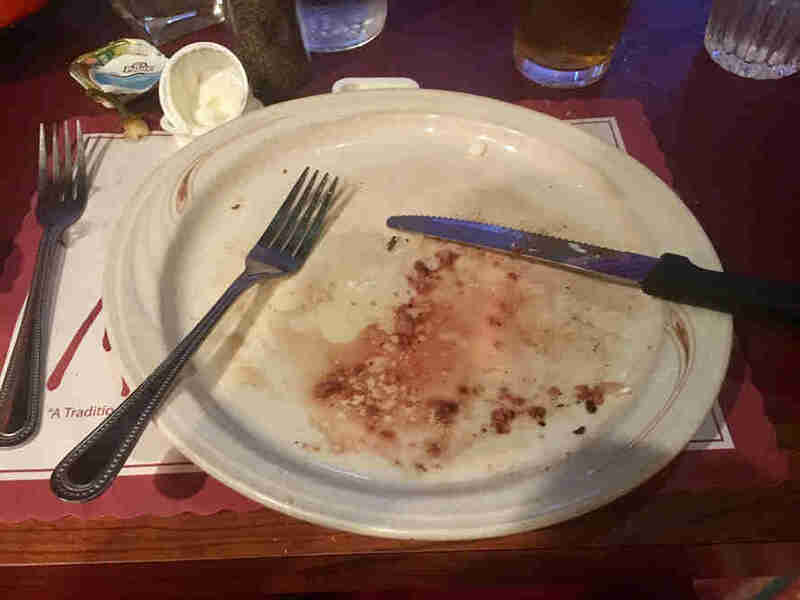 Sov said he'd buy us all a steak dinner if we finished the Intelligencer on time. Well, we didn't actually get it done on time because of course we didn't, but in the spirit of meat-based participation trophies, Sov still bought us some steak. Sov, Wood, Treebeard, Peanut, and I all had a real nice time at a place that was right out of the '50s. Now, you're probably asking yourself: "What the hell was the point of this seemingly pointless blog?" And that's a valid question. The answer is two-fold. 1.) 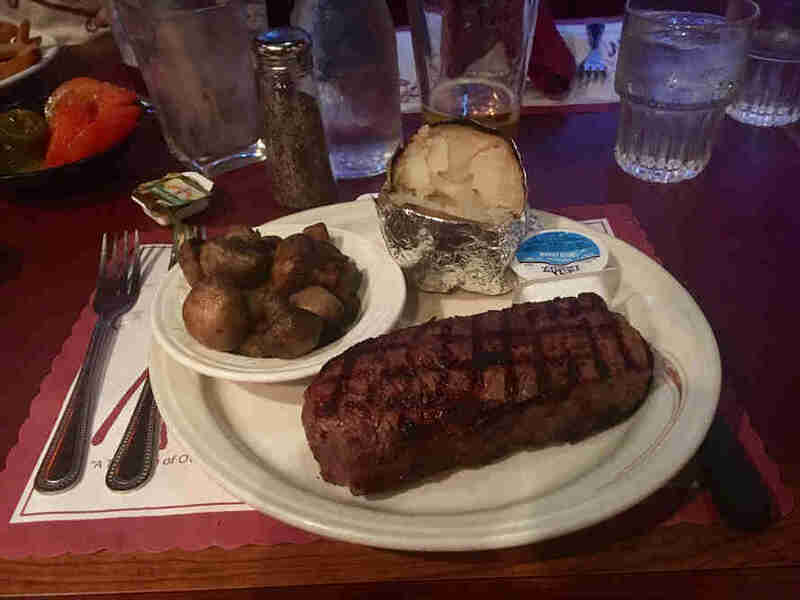 This blog is intended to be a reminder to reward yourself for hard work every once in awhile with a nice steak dinner (or nice, fat Portabella steak for you non-meat eaters). Go ahead, you earned it. 2.) This blog is also intended to be a reminder that Intelligencer #5 is available now. It's chock full of great "content" that we think you'll enjoy. 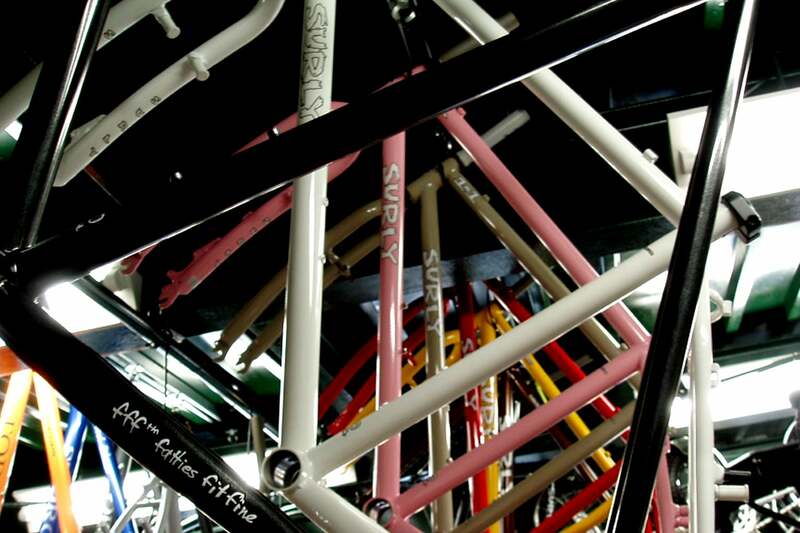 To get your hands on one, visit the bike shop where you usually buy our stuff and ask them for one. They're free so you really don't have an excuse not to. Anyways, ya'll hear that new Mutoid Man record yet or what? It's a real ripper.